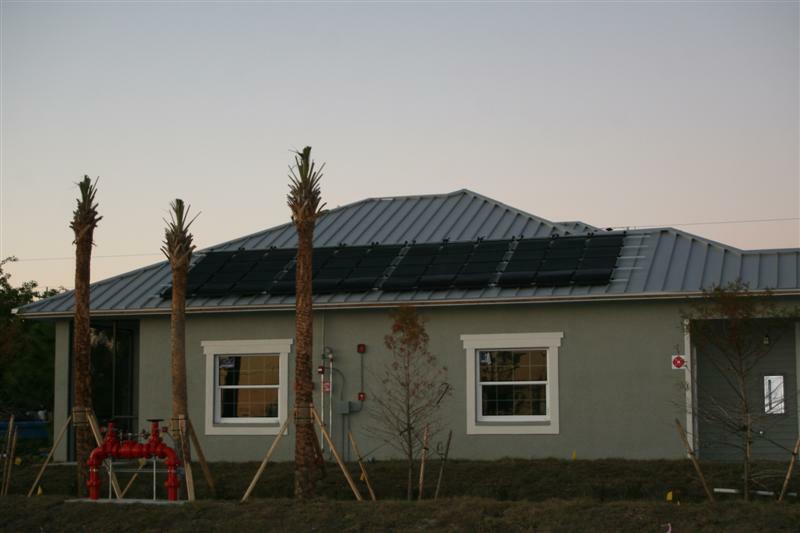 A solar water heating project for the Southwest Florida Affordable Housing Choice Foundation is in Cape Coral at the Coconut Apartments. 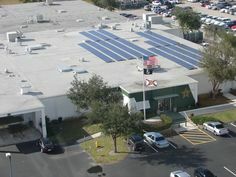 Each of the two multi-tenant buildings have four dwelling units with three 2’x8′ solar water heating collectors per unit. 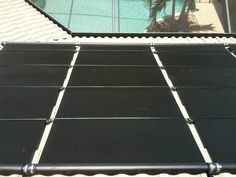 Installation of the solar panels just started, and here’s the day one picture of the first building. 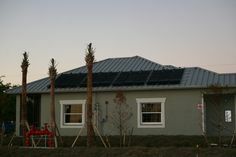 Like the Broadway Apartments project, the panels are mounted on rails attached to the standing seam metal roof with non-penetrating S-5 clamps. Can you spot anything wrong with this photo?